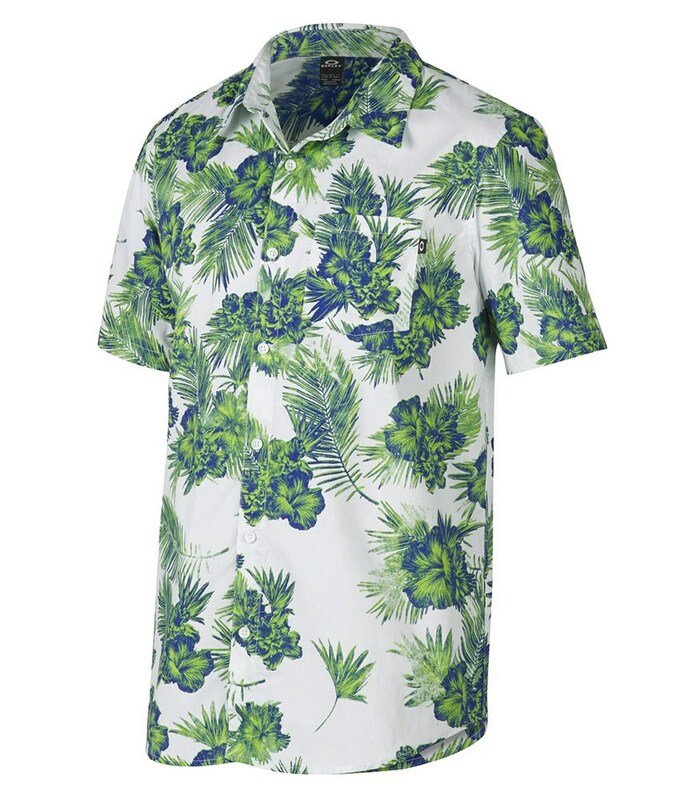 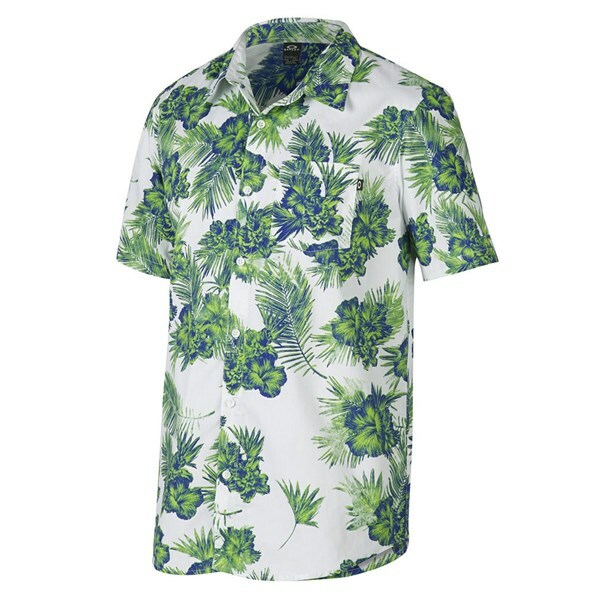 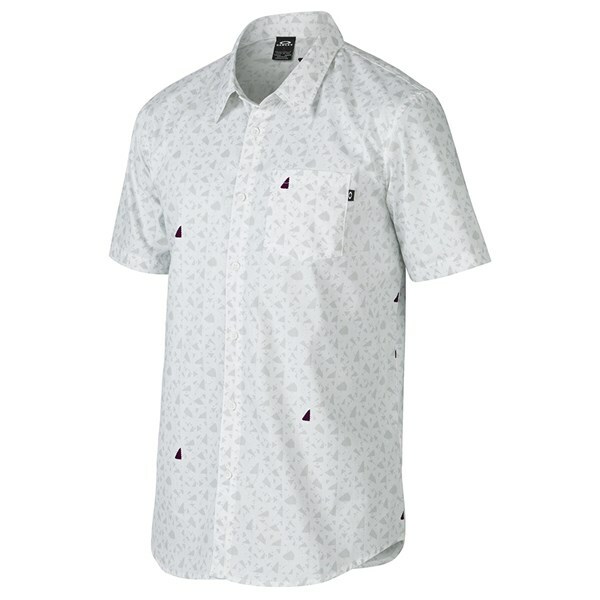 The Mens Print Short Sleeve Woven Shirt from Oakley is part of their lifestyle collection. 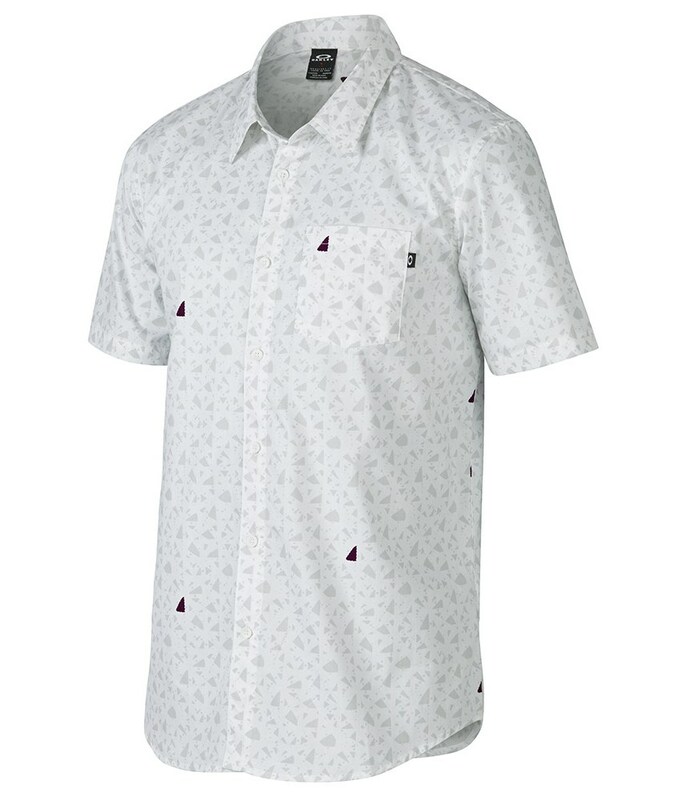 Oakley have used a geometric allover pattern to create this awesome stylish shirt. 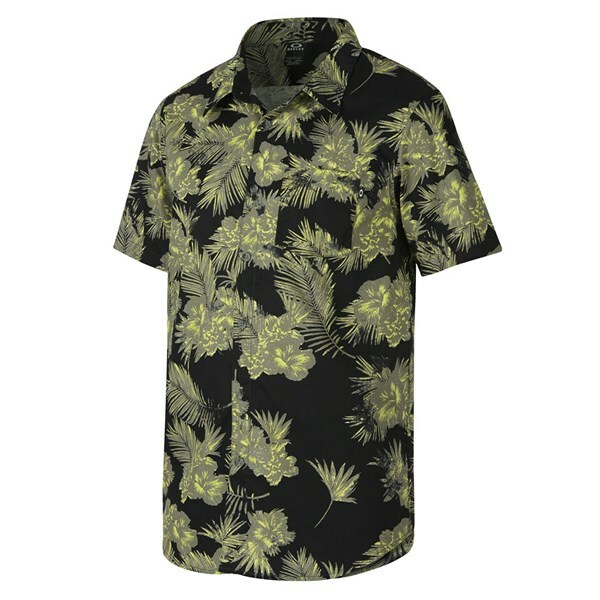 Made from a lightweight cotton the Oakley Woven Shirt features a chest pocket to store small items. 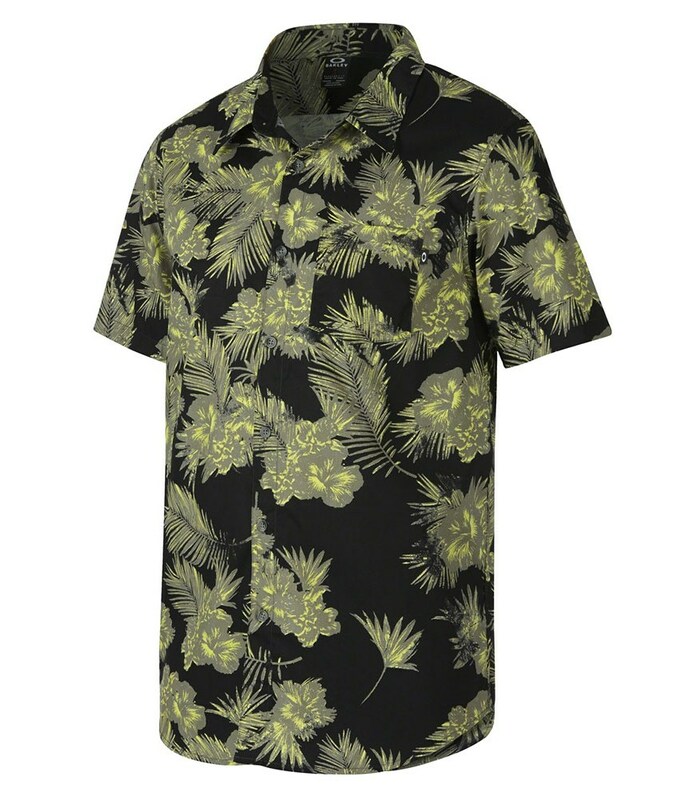 The style lends itself to be worn with either shorts or trousers and will look great with the sun on your back!